One reason I love living in Santa Monica is that it’s convenient. Traffic is often congested, but if you’ve got errands to do, you can put together a list and get a lot done efficiently. Santa Monica is also the home of fantastic stores and businesses, that are fun to shop at in any case. Yesterday I had a long list of errands, and I also wanted to drop my dad’s apartment and spend some time with him. I decided to keep a log and take photos along the route. I left my house, on Beverly Avenue in Ocean Park, at 11:08. My first stop was going to be my dad’s – he lives in one of the “new” apartments built in downtown Santa Monica after the City liberalized zoning in the mid-’90s to encourage residential development downtown by allowing double the square footage of development for housing in what as a commercial zone. My parents moved here (from Philadelphia) in 2003. 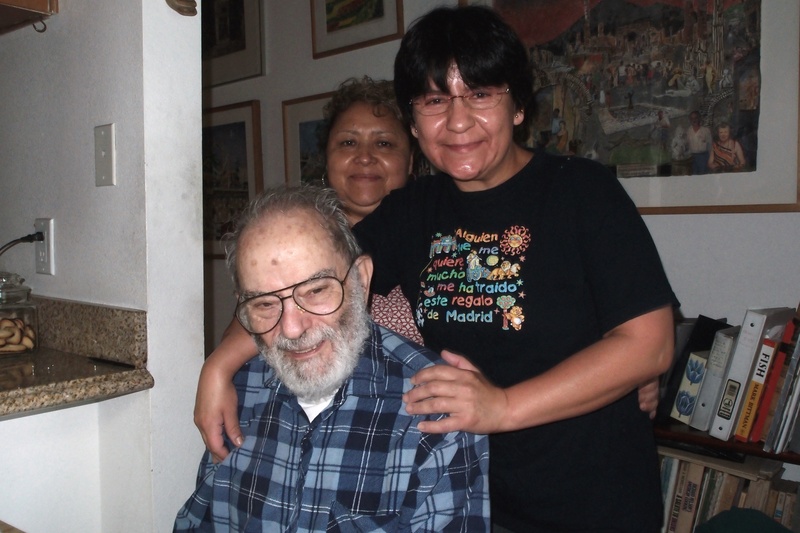 My mother died in 2007 and now my dad, at 92, lives there alone – he manages with help from his housekeeper Blanca Gonzales, who comes in every morning and makes him breakfast. Downtown Santa Monica is a great place to grow (or be) old in. My dad never had or needed a car here, since there’s a supermarket (Von’s) he can walk to, all kinds of services, the library, movie theaters, etc. Most of his doctors are near St. John’s, just a short bus ride up Santa Monica Boulevard. When I hear homeowners in Santa Monica, many of them boomers like me, or even older, protest against development of apartments and condos in Santa Monica, I wonder where they expect to live once they can’t drive; do they want to go straight from their house to the nursing home? As much as I look forward to the Expo line arriving in Santa Monica, it’s made it harder for me to reach my dad’s place, which is on Sixth Street just north of Colorado Avenue. I used to drive (or bike) up Fourth Street and turn right on Colorado, but Colorado is now permanently one-way westbound on the block between Fourth and Fifth. To reach Dad’s Now I need either to take Fourth up to Broadway and then Broadway to Sixth, or take Lincoln to Colorado, which is what I did yesterday. 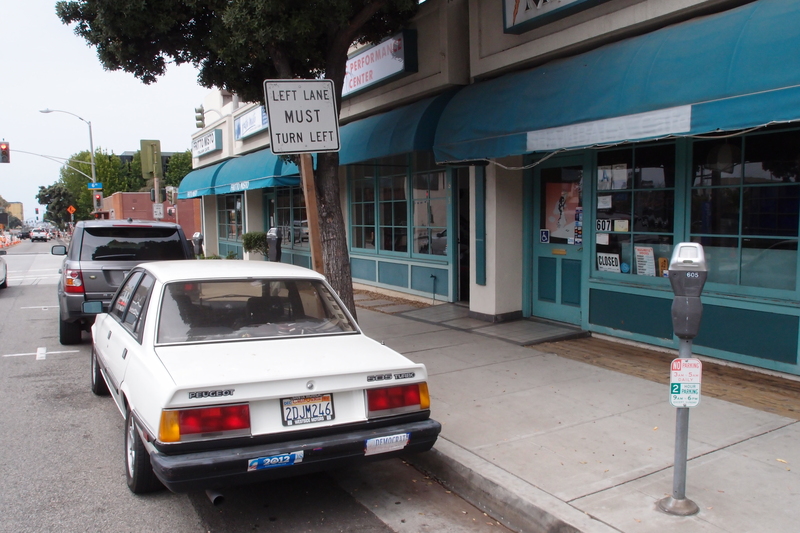 It took me eight minutes – which was slower than the four or five minutes it used to take, but when I arrived there at 11:16 I immediately found a parking place — in front of Ninjin, a little Japanese neighborhood “trattoria” on Colorado where Dad and I are regulars. My car parked in front of Ninjin, around the corner from my dad’s apartment. My dad, Blanca and Letty. I got back in my car at 12:02 – my next destination was the Bank of America at Fourth and Arizona. I needed to use the ATM to deposit a check and get some cash. The Saturday traffic in downtown Santa Monica was starting to build up, especially on Colorado, but I headed up Fifth, took Santa Monica Boulevard to Fourth and I arrived there at 12:06. Four minutes of travel time. 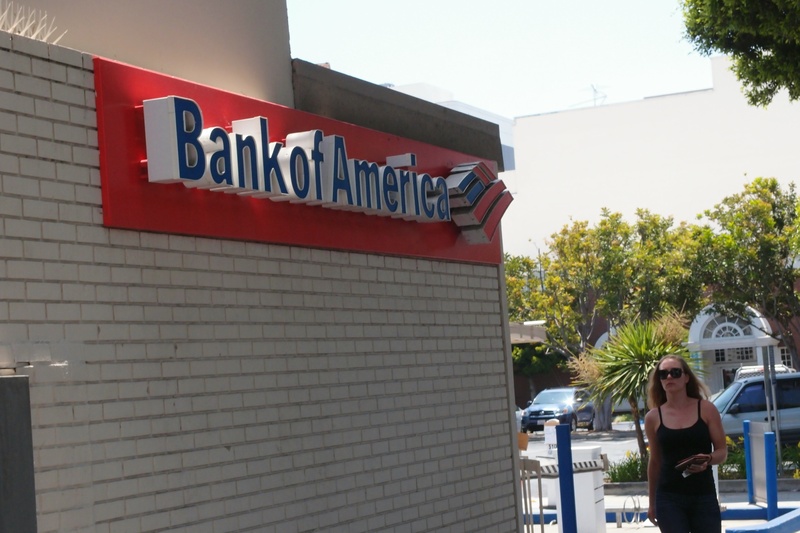 The Bank of America in downtown Santa Monica. This property is due to be redeveloped as part of the City’s big plans for the parcels it’s assembled on Arizona Avenue between Fourth and Fifth. It took me six minutes to do my banking, and I was back in the car at 12:12. 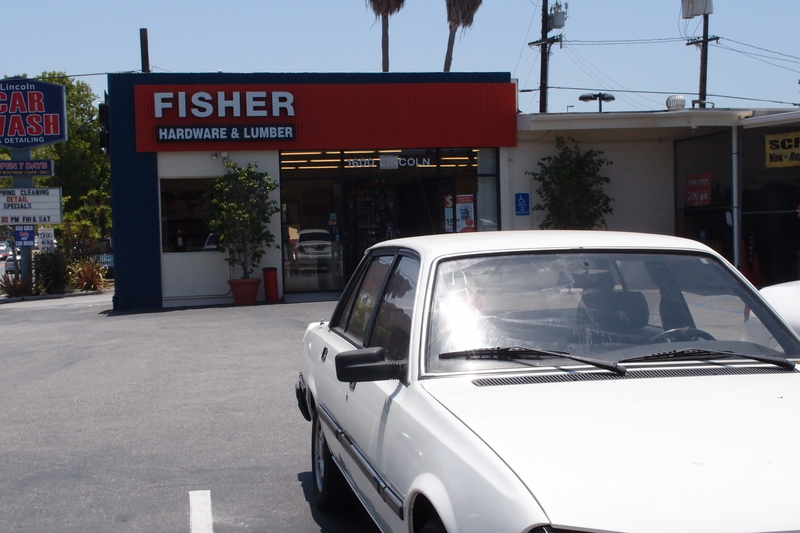 My next stop was Fisher Hardware at Colorado and Lincoln, where I needed to buy a new garden hose. I took Arizona to Seventh, Seventh to Colorado, and arrived at Fisher at 12:18. Six minutes of driving. My car in the Fisher parking lot. I love hardware stores. I enjoyed myself wandering around looking for garden hoses, which turned out to be displayed right near the entrance. I found the hose I wanted and also a long-neck outdoor floodlight that I needed. I spent nine minutes there and left at 12:27. 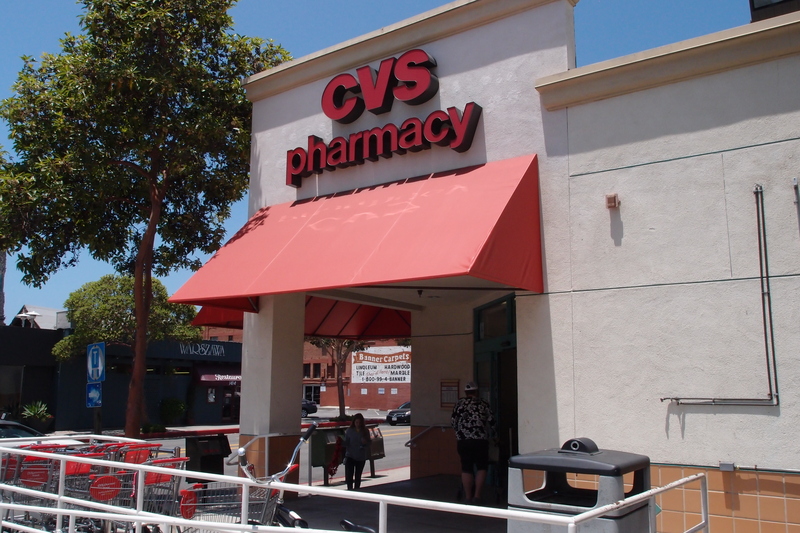 My next stop was the CVS on Lincoln just south of Santa Monica Boulevard, where I needed to pick up a prescription. From Fisher I took a left on Lincoln, drove up a few blocks, getting to CVS at 12:32 – five minutes. I had to wait in the prescription line, but I was only in CVS for eight minutes. 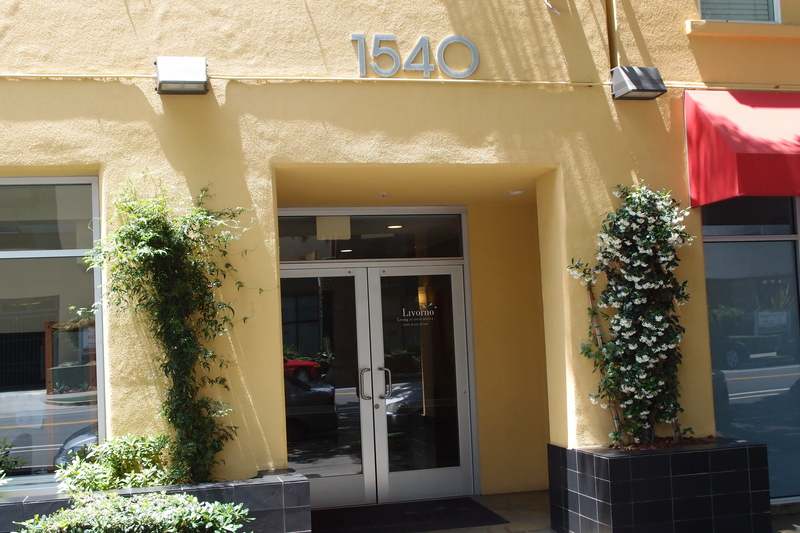 I left at 12:40 and headed towards the 1100 block of Wilshire for the most fun part of my errands. Between 10th and 15th, more or less from Santa Monica Seafood to Tehran Market, there are a great bunch of food shops on Wilshire, and I love to shop there. I found a parking spot near 12th Street and plunked a dollar in the meter for an hour of parking. My first stop, however, wasn’t for food — it was at Elias Tailor Shop on 11th Street just south of Wilshire. 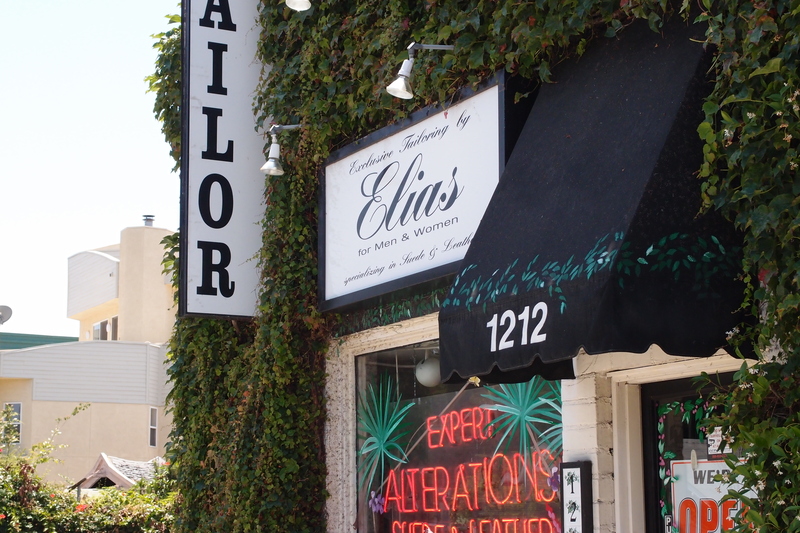 You don’t find tailor shops like Elias in Anytown, U.S.A. Whenever we have a need for some sophisticated alterations, we go there. This time I had a jacket I’d purchased on a recent vacation, and I needed the sleeves shortened while keeping the cuffs. No problem for Elias. I dropped it off last week and yesterday I was there to pick it up. 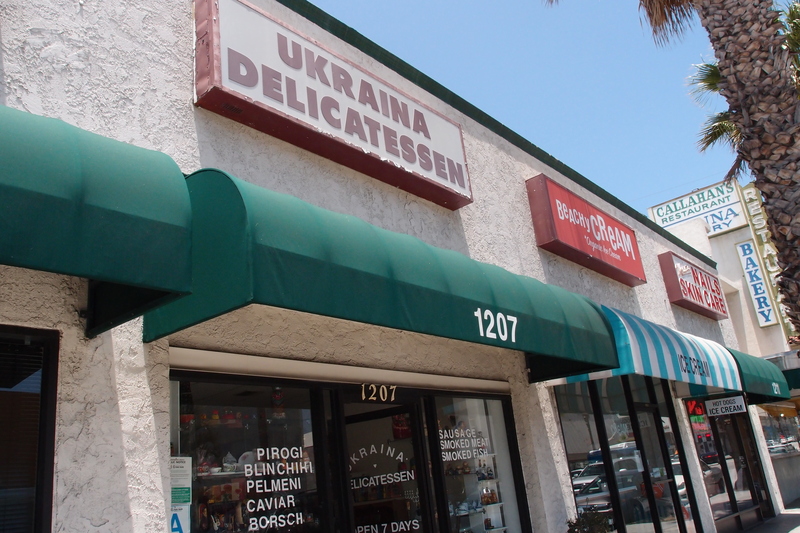 After putting my jacket in the car, I was heading to two of my favorite stores in Santa Monica – two outposts of Eastern European cuisine, the Ukraina Delicatessen on the northeast corner of 12th and Wilshire, which, notwithstanding the name, specializes in everything Russian (particularly smoked fish! ), and J & T European Gourmet Food and Deli, which has everything Polish, most famously sausages and smoked meats made on the premises. I was shopping for Father’s Day brunch, and I was in the market for smoked fish. At Ukraina they have all kinds – salmon (in various forms), sturgeon, trout, a couple of fishes that apparently only have Russian names, mackerel, and wonderful herring (again in many forms). I bought various kinds, as well as some salami for my dad and some interesting ham for me. The Russian woman behind the counter plied me with samples and that may be the exception to the rule that there is no free lunch. Then I crossed the street to J & T. I’d been there the week before and at home we were still working through the sausage I’d bought then, but I was looking to restock up on their smoked bacon. I bought half-pounds of two different types. In all I spent 45 minutes in Elias and the two deli’s. 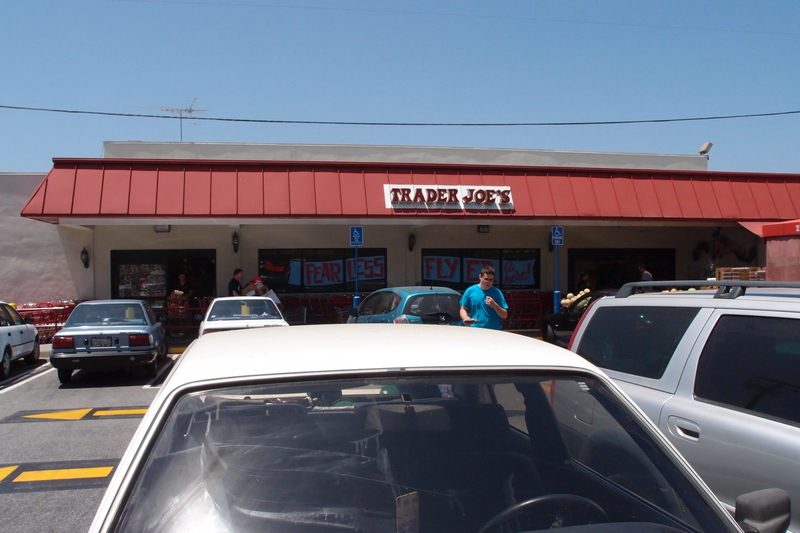 My next stop was across town – Trader Joe’s on Pico. I left at 1:30, headed down 11th to Olympic, took 20th to Pico, and got to TJ’s at 1:42 – twelve minutes driving. Trader Joe’s from — where else? — the parking lot. I spent 15 minutes inside everyone’s favorite, “we-make-the-choices-for-you” grocery store – I only needed a few items. A few years ago, before the new store opened in West L.A., the store manager told me that this little store on Pico Boulevard was the second highest grossing Trader Joe’s west of the Mississippi. It’s always seemed to me that you could stand in the store and visualize mounds of food continuously entering from the back and flowing out past the cash registers. 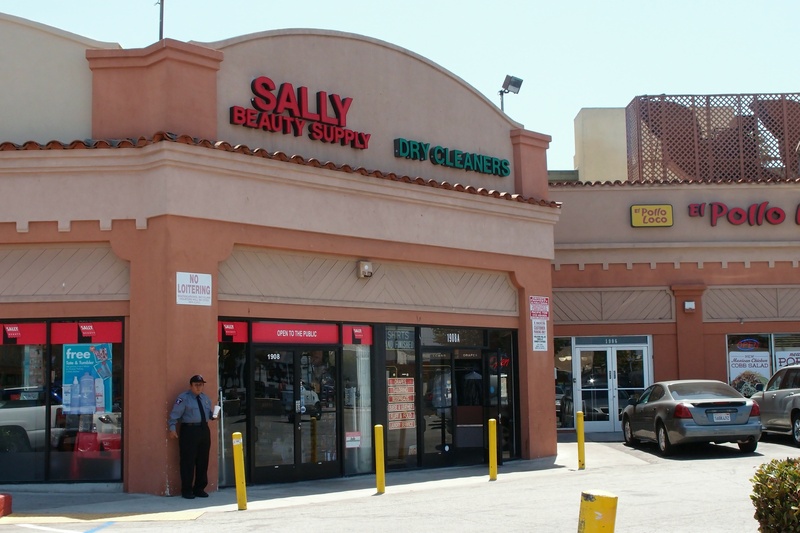 My next stop – my last – was our cleaners in the mini-mall at Pico and Lincoln. I left TJ’s at 1:57 and arrived at the cleaners at 2:05 – eight minutes. I was five minutes dropping off and picking up laundry, back in my car at 2:10, and home at 2:13. Whew. If you were keeping track, I was gone for three hours, five minutes, of which 50 minutes were spent driving. I made nine stops: my dad’s, the bank, Fisher Hardware, CVS, Elias, Ukraina, J&T, Trader Joe’s, and the cleaners. But the way I look at it, only in a city could I have done all these things in this time frame – including visiting my elderly father (I live in a single-family house, and in most places in America, apartments like my dad’s don’t exist near single-family houses) and including finding shops like Fisher, Elias and the two delis. The traffic is part of the package, and you’re not going to find 20 types of Polish sausage at a mall. Sure, 50 minutes is a lot of driving for what could only have been a few miles (next time I’ll track the odometer), but what I look at is how short the time was between the stops. (My cyclist friends are thinking that I should have been on my bike, but I don’t have a cargo cart!) My sister lives in the country and although there is no traffic congestion to speak of, it takes her 20 minutes just to get to a supermarket. It would be great to reduce traffic congestion in Santa Monica, but in the meantime I’m going to enjoy the good things we have here. This entry was posted in Uncategorized and tagged Santa Monica, santa monica traffic by Frank Gruber. Bookmark the permalink. Yes, thanks for the rec on Elias the tailor. And I make many of those trips myself. It’s great to see truly local places, off the heavily beaten path of – do they still call it Bayside District??? – downtown. My wife Marissa and I can shop at and visit various stores and places in Santa Monica via the Big Blue Bus quite effectively. More BBB shuttles, however, would be helpful. More like 25 minutes to get to a (decent) supermarket. And you have to go to three of them to get everything you want (as was reiterated last week when I shopped for a party). I figure that any errand — or, say, two errands — will take 2 hours…..and don’t forget that I do (almost) all of my clothes shopping on Santa Monica’s Main St…. Right — I should have mentioned that my sister Ruth stimulates the SM economy whenever she visits! Talk about Shopping Local! Thank you Frank, that was such a fun Santa Monica field trip and after so many years in the city I can’t believe I didn’t know about Elias, Ukraina, J&T. I’ll be checking them out shortly.